Edwards RV5 Rotary Vane Dual Stage Vacuum Pump (<200 Micron) . New Life Scientific, Inc. 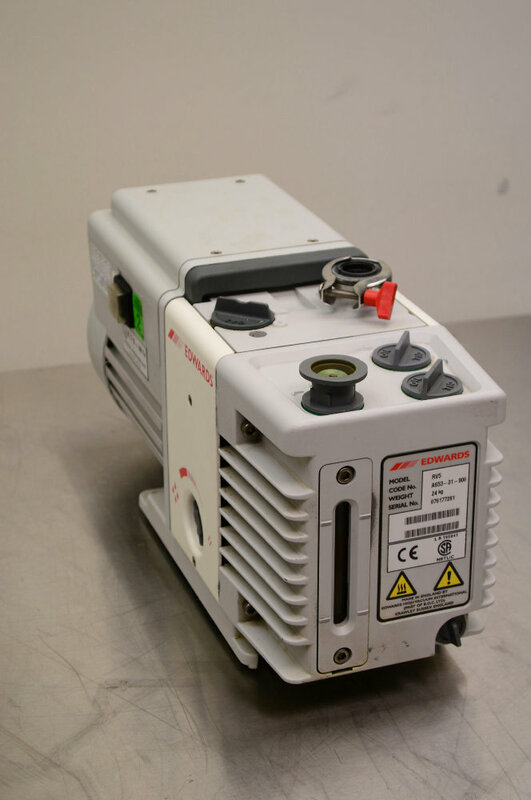 The Edwards RV5 vacuum pump is in good cosmetic condition, displaying few signs of use. The original internal components are not the cleanest, but the instrument was flushed with specialized oil to help lubricate and clean it. In technical testing, the pump produced a vacuum of roughly 99.9% by pulling in range of 150-191 microns, consistently. Please see the pictures for more details. **Please Note: The serial number on the product you purchase may be different than the item pictured. However, the product you will receive is the same model and condition. Flushed and working well - <200 microns.